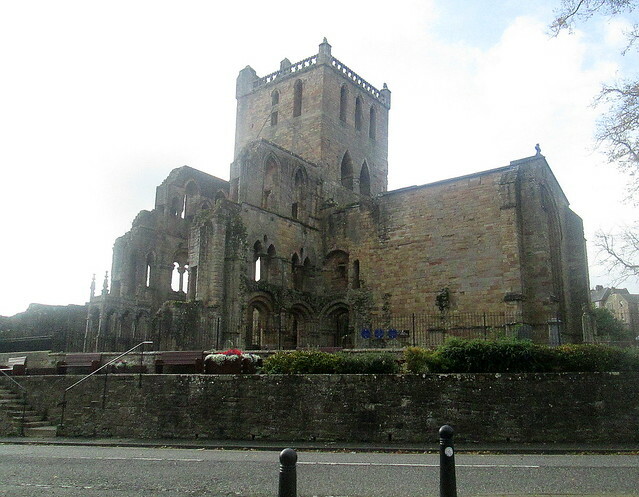 The main reason anyone will go to Jedburgh I imagine is to see Jedburgh Abbey, what’s left of it anyway. 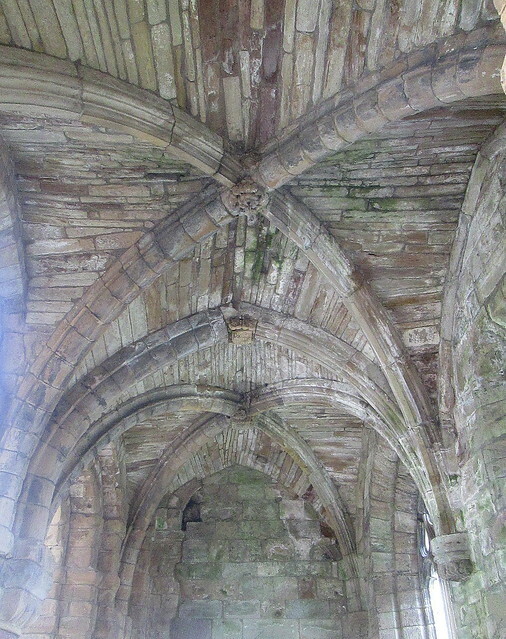 As you can see from the photos below it’s quite grand still, even as a ruin. It was founded by King David I in 1138. Some parts of it still have the roof intact. Other parts of it are just piles of stones where the kitchen and sleeping quarters and such were. 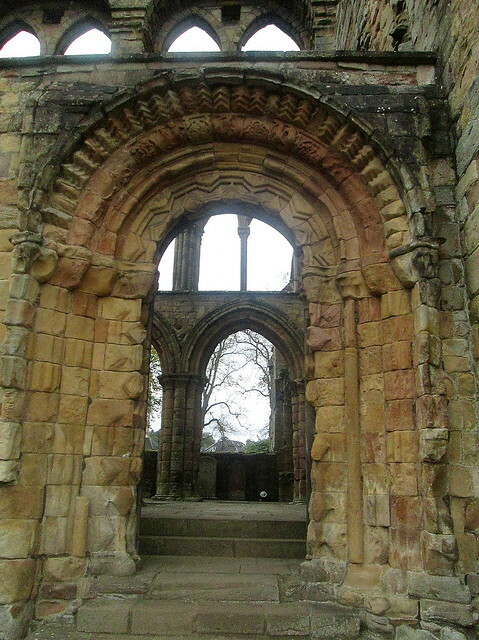 Over the years as the abbey became poorer they just abandoned buildings that they couldn’t afford to upkeep. Now it’s maintained by Historic Environment Scotland. 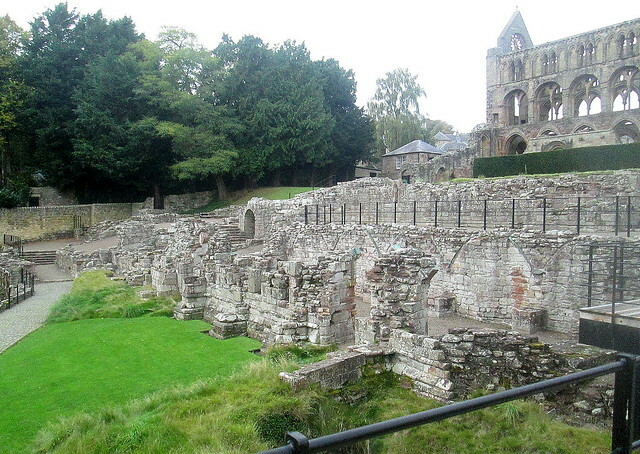 You can see more images of the abbey and town here. 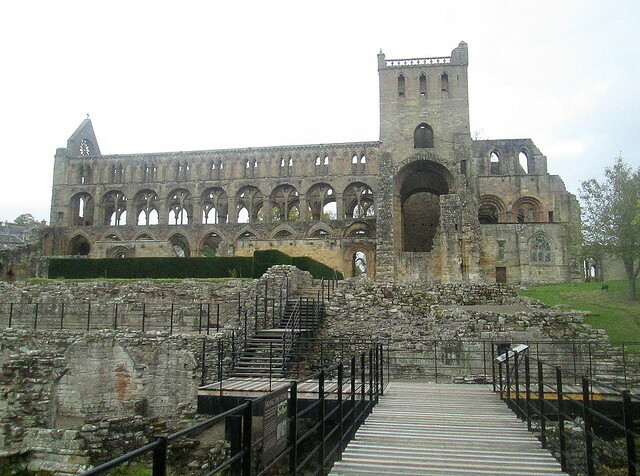 This entry was posted in Architecture, Scottish History, Towns and tagged Historic Scotland, Jedburgh, Jedburgh Abbey by Katrina. Bookmark the permalink. What a magnificent place it must have been back then ..lovely photographs . Thanks, but so far it has been quiet here, the really high winds are further north, but it’s much colder today and I think we’ll have snow tomorrow. It is impressive and there’s another one in a town just a few miles away – Melrose, but we were too late to visit that one, we’ll have to go back another day. What a beautiful and stupendous building, such a pity it endured such destruction over the centuries. There must have been a goodly number of workmen and their families and associated ancillary services in the area while it was being built, must have been a busy place. I imagine that it made the area into a real hub with families moving there for the work, it was so dangerous though and I’m sure there were a lot of deaths involved in the building work over the years it was being built. Great photos. 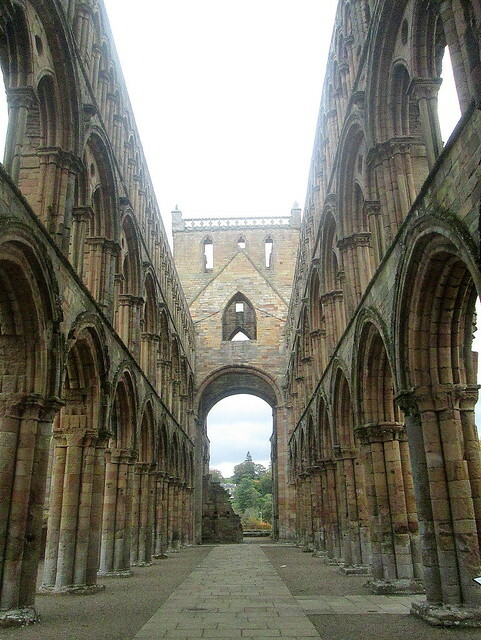 I remember passing through Jedburgh once but didn’t have time to stop and have a proper look around. It sounds as though it would be worth visiting again one day. There’s not an awful lot to the actual town of Jedburgh, like most towns nowadays it has suffered from closing shops and such. If you are in that area again you might want to have a look at Kelso too which is just about ten miles away.